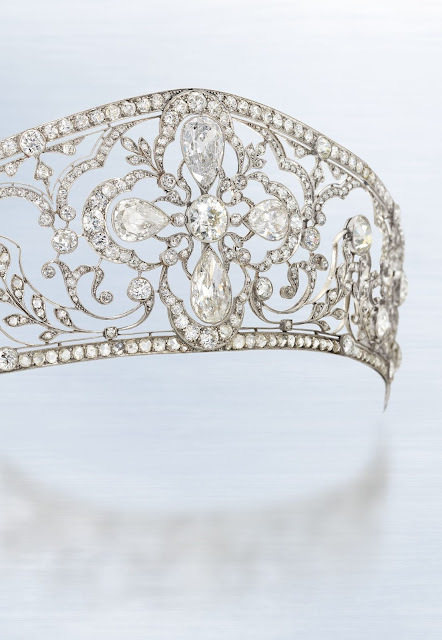 Scheduled to be sold at Christie’s in June 2018, this intricate tiara was made around 1905 from old-cut, old pear-shaped and rose-cut diamonds set in platinum. It has an inner circumference of 21.2 centimeters. It belonged to Louise of Orléans (1882-1958), who was a Princess of Bourbon-Two Sicilies and, in 1907, married Infante Carlos of Spain, Prince of Bourbon-Two Sicilies. 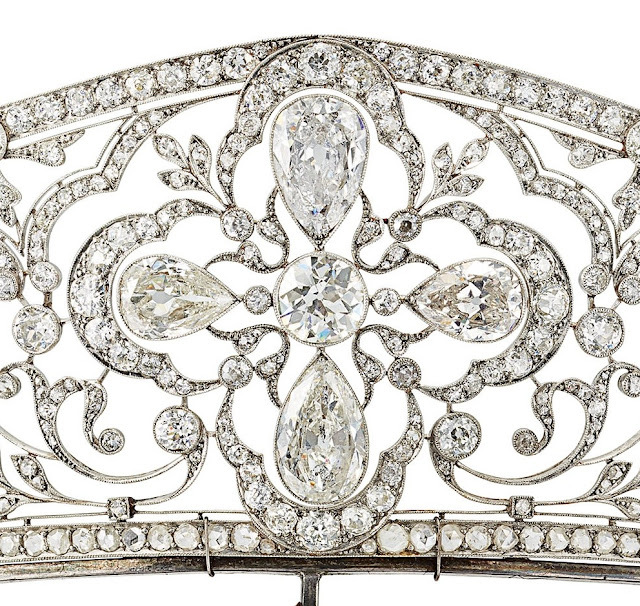 This diamond tiara was given to Princess Louise shorty after it was made during the first years of the 20th century. Its crescent moon shape is reminiscent of other royal tiaras. The first, with diamonds and pearls, was given by King George V and his wife Queen Mary to their niece, Princess Alexandra of Fife when she married her cousin, the Prince Arthur of Connaught, in 1913. The jewel was signed by Garrard, one of the jewellers to the British Crown. A second, very similar, with turquoise and diamonds, was gifted in 1926 by the same king, King George V, to his daughter-in-law, Lady Elizabeth Bowes Lyon, future Duchess of York. The young Duchess transformed it by removing the upper row of diamonds that “closed” the jewel. 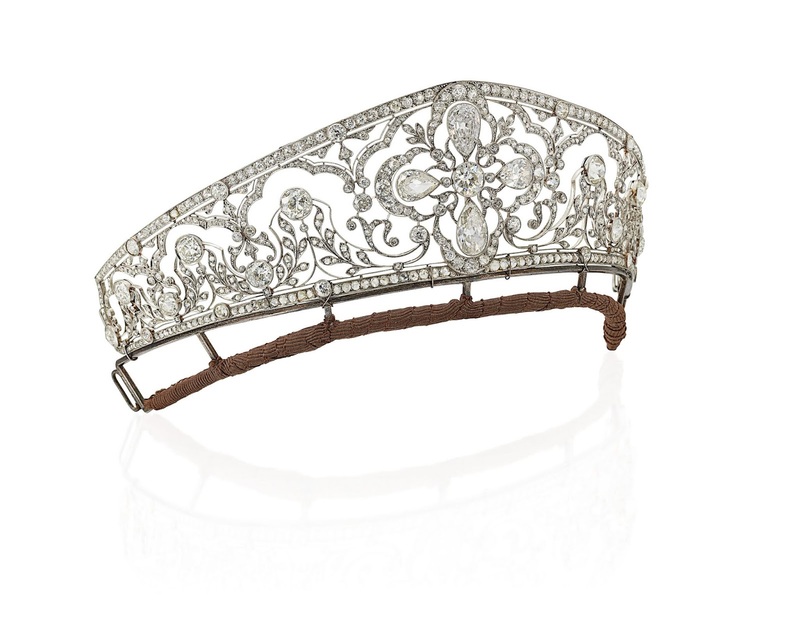 It is possible that the Infanta Louise’s tiara has the same British provenance. As well as the style of the jewel, two other factors also suggest this heritage. The French Royal Family have lived in exile in England for over twenty years, and for this reason the wedding of Princess Louise and Infante Carlos took place at Wood Norton Manor in Worcestershire. Additionally, at that time the French Royal Family is very closely linked to the British Royal Family. Queen Alexandra and two of her daughters, the Duchess of Fife and Princess Victoria, are in attendance at Louise’s wedding. The turquoise and diamond tiara mentioned has been covered here: the Persian Turquoise Tiara (also known by other names) was last worn by Princess Margaret. 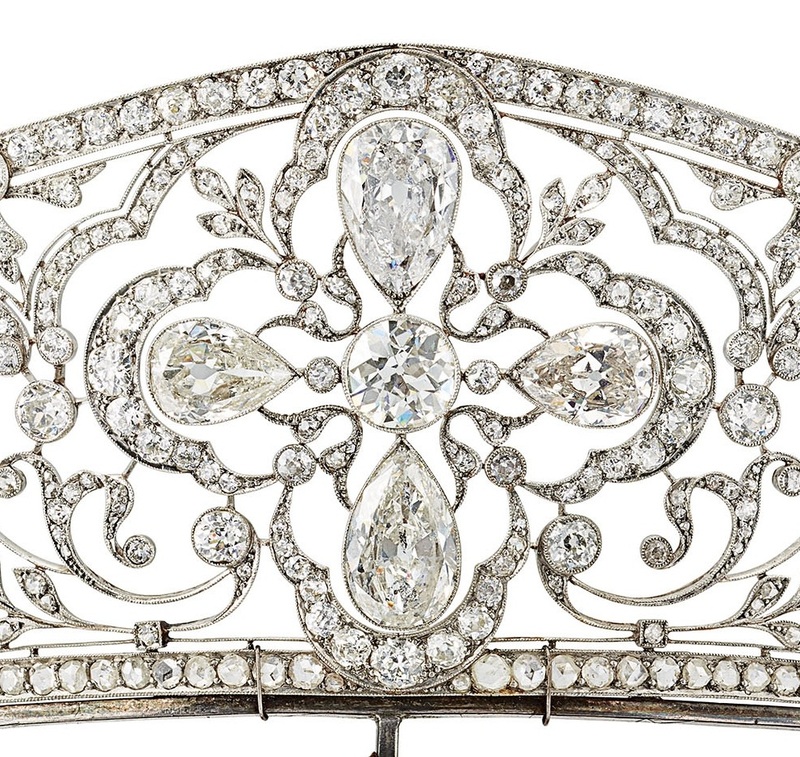 From British connections to other connections, this tiara touched a lot of different titles while descending through Princess Louise’s family. 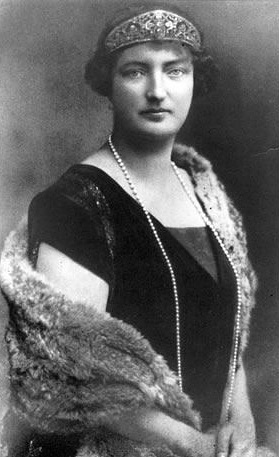 Louise was a maternal grandmother of King Juan Carlos, but the tiara did not pass to his mother, Maria de las Mercedes. It was inherited by another daughter, Princess Maria de la Esperanza of Bourbon-Two Sicilies (1914-2005), who was married to Prince Pedro Gastão of Orléans-Braganza, a claimant to the Brazilian throne. Maria de la Esperanza wore her mother’s diamond tiara during the grand festivities in Athens in 1962 celebrating Juan Carlos’ marriage to Princess Sophia of Greece and Denmark. The tiara then went to Maria de la Esperanza’s daughter, Princess Maria da Gloria of Orléans-Braganza. Maria da Gloria was Crown Princess of Yugoslavia from 1972-1985, during her marriage to Crown Prince Alexander, and is now Duchess of Segorbe and Countess of Rivadavia via her second marriage. (We see Crown Prince Alexander around here sometimes, as he regularly appears at big royal events with his second wife, Katherine.) 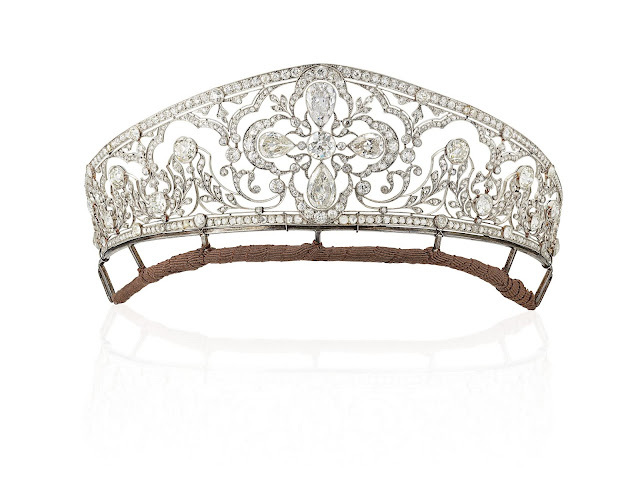 In 1982, Maria da Gloria sold the tiara at an auction in St. Moritz. Now it will be sold again, in the Important Jewels auction at Christie’s London on June 13, 2018. The diadem is labeled as an "Important Belle Époque Diamond Tiara" and has an estimate of $186,900 - $280,350.